I feel like I've been deficient in checking in on these Community Build threads - my loss as the work here is superb. Cole - awesome detail work with the PE extras! Unfortunate about the decals but hopefully you'll get that sorted out. And, yeah, high quality tweezers are definitely a good investment when it comes to teeny tiny bits. Kats: Cheers for the kind words. 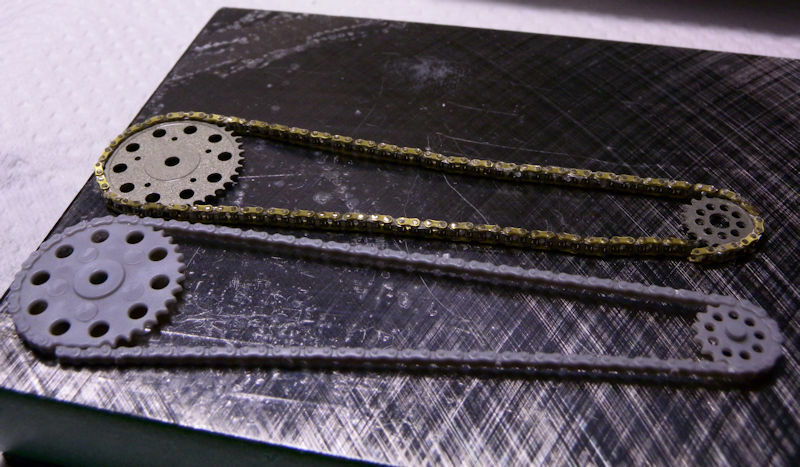 I continue to wait on the chain set, so I will start on the brake discs. Well, after being unavoidably detained for nearly two months, I am glad to be back at the bench. The chain set finally arrived. 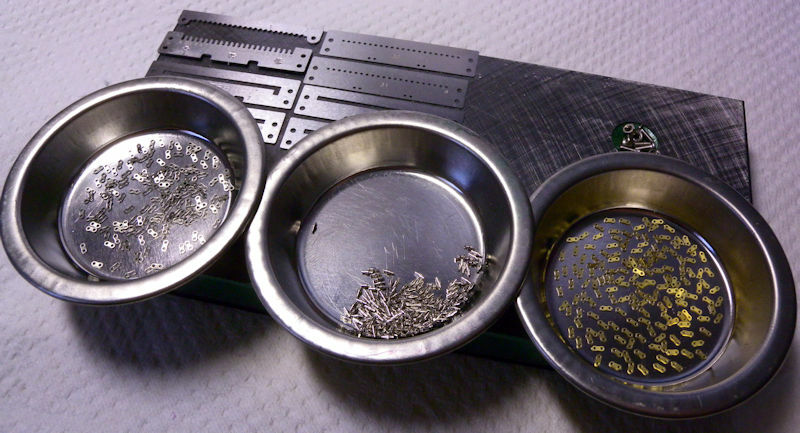 I suppose it goes without saying; there are many, many small parts. Easy? Easier than I imagined, but time consuming nonetheless. It took a lot of time to remove the links from the fret. 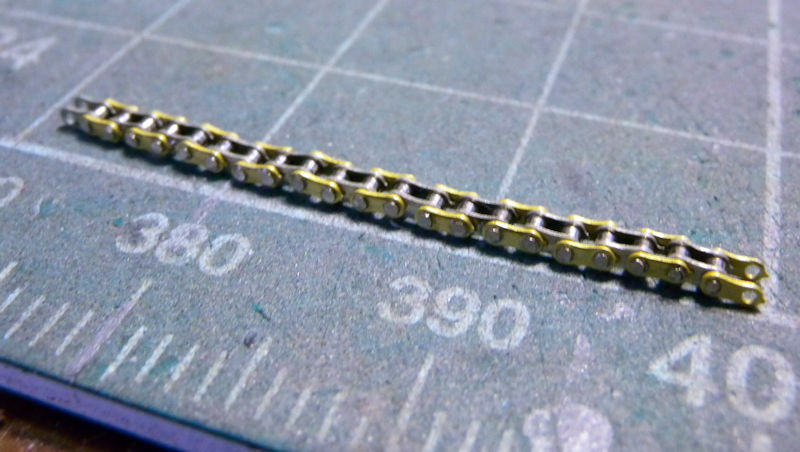 But the first portion of the chain is complete. And I managed not to lose any parts! Great stuff Cole, those rotors look awesome. I have always wanted to do one of those chains. Is it a Top Studio? 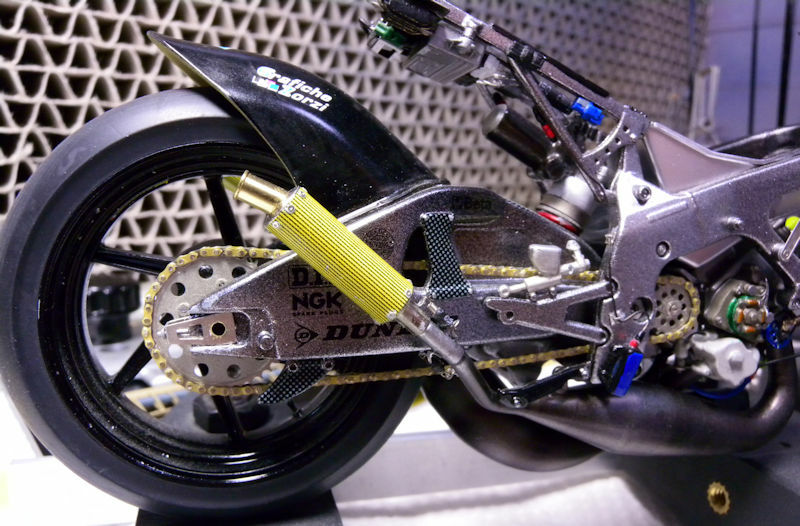 Awesome looking chain! Very tedious work indeed. Finally finished. Was is worth the time and expense? It was certainly interesting and challenging. If anyone is thinking about a similar undertaking, I am happy to share my experience with you. 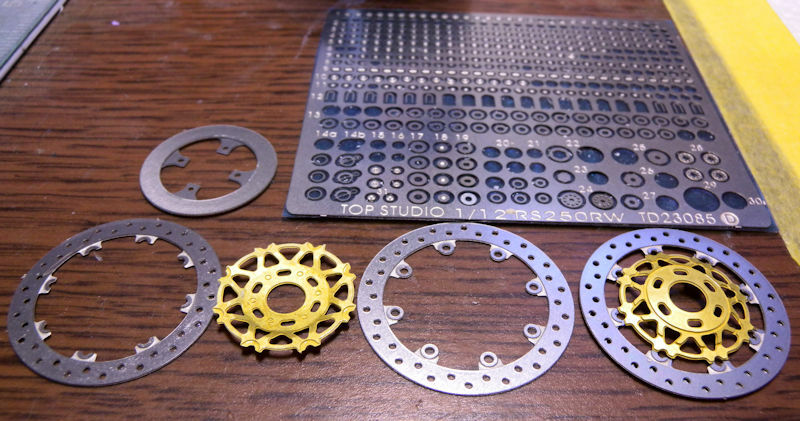 Now for the sprockets and I can finish attaching the rear wheel. Totally worth the experience Cole, especially if you are looking to add detail depth. Plus I found you ever put it in a show those are big points that go along with the rest of your amazing detail work. 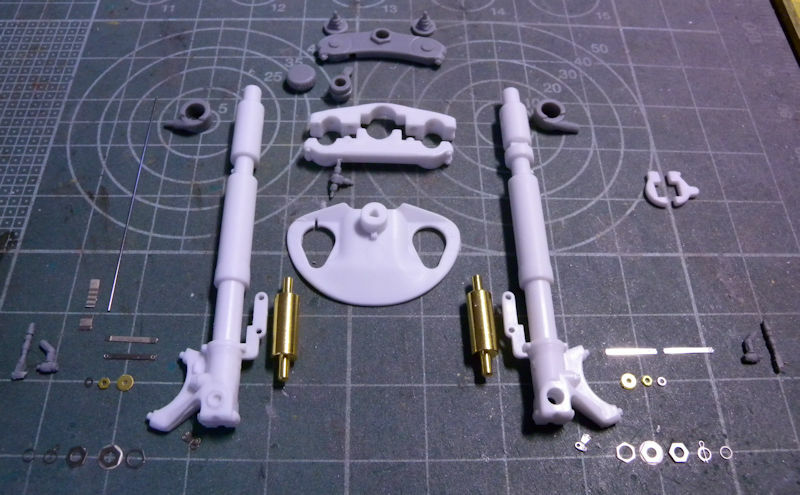 The two parts are worlds apart, will make a huge difference to the model. And the rear wheel is finally in place. 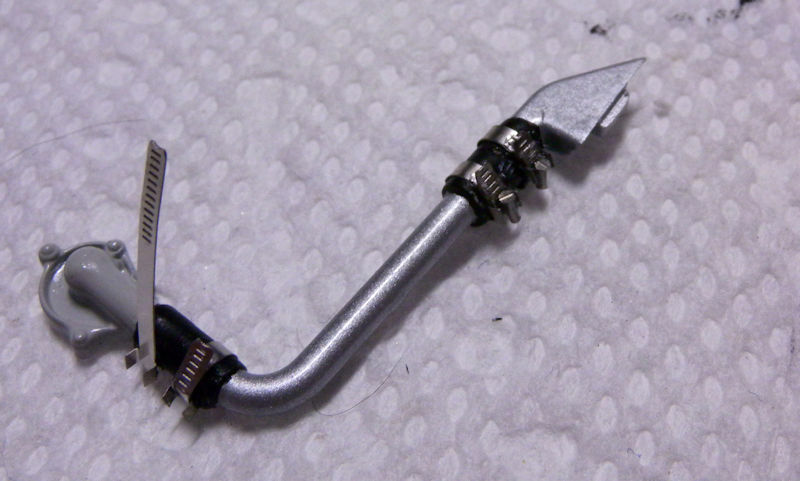 It took some work to insert the axle(1.6 mm brass tube) but I managed. 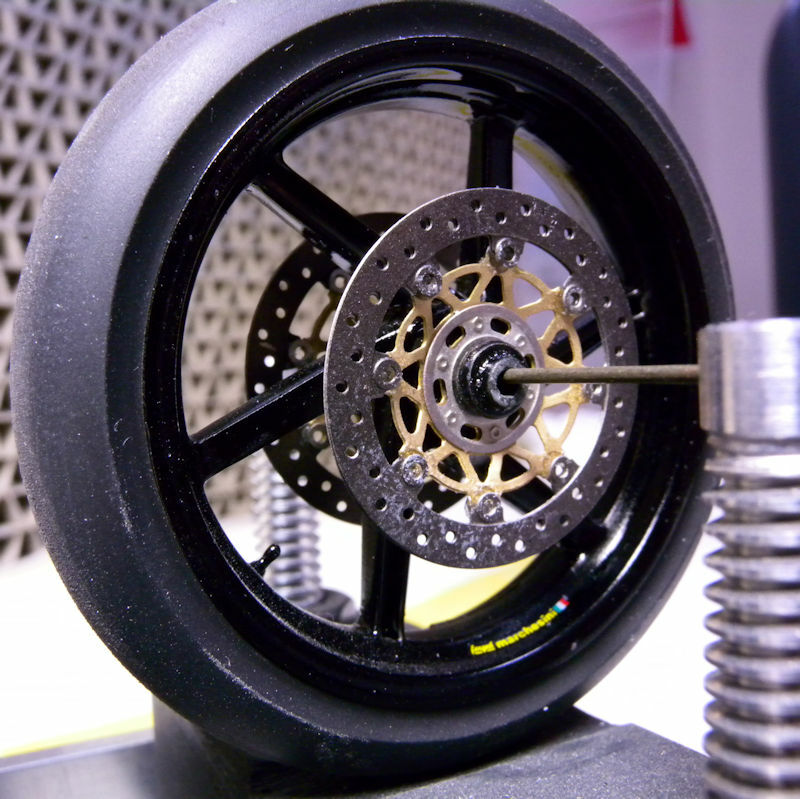 Each rotor consists of 20 individual pieces. Time to start on the front end and radiator. 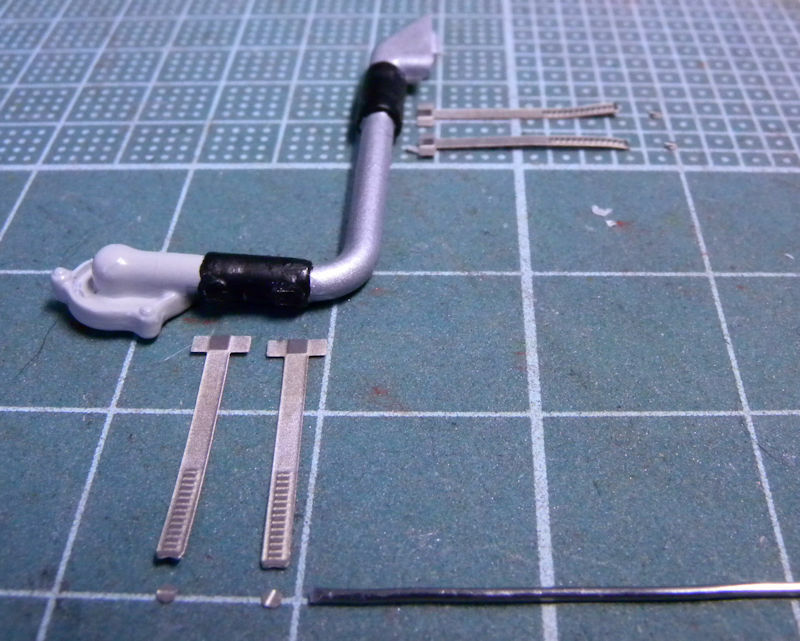 As is usual, many small parts to be shaped and attached. The carpet monster is drooling at the prospect of consuming those tiny PE parts Cole lol. 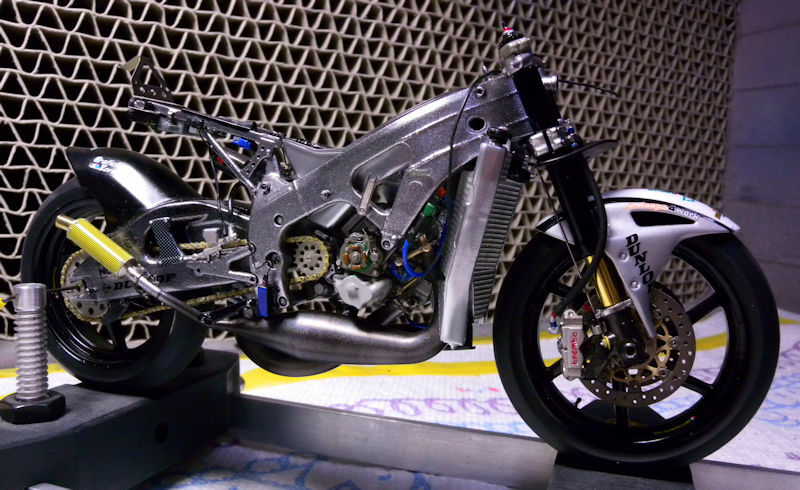 Gary: Believe it or not, I have yet to lose any parts(fingers crossed). Having wood floors definitely helps when a part gets dropped. Time to finish the radiator and plumbing. 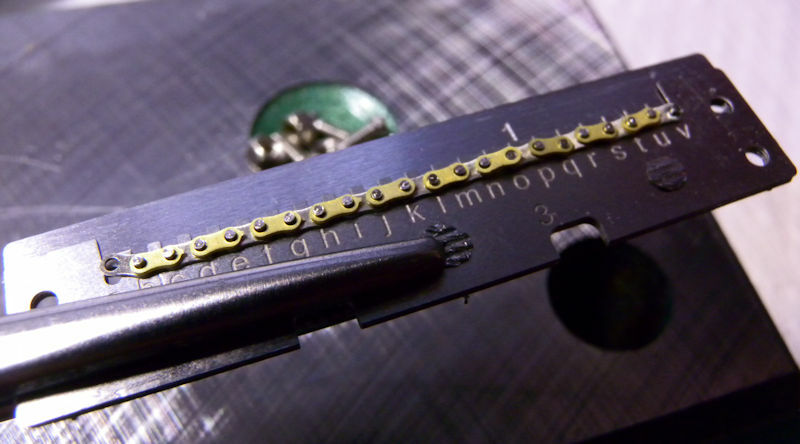 At the bottom of the picture; solder for the hose clamp screw and some very small photo etch screw heads for the solder. Making progress slowly but surely. The radiator connection is halfway there. The front forks are on now so it's beginning to look like an actual motorcycle. Awesome work, Cole. Those hose clamps are super cool. Well, it's been forever, but this one is finally finished. This will be a gift for my brother-in-law so I have been giving a lot of thought to the presentation. 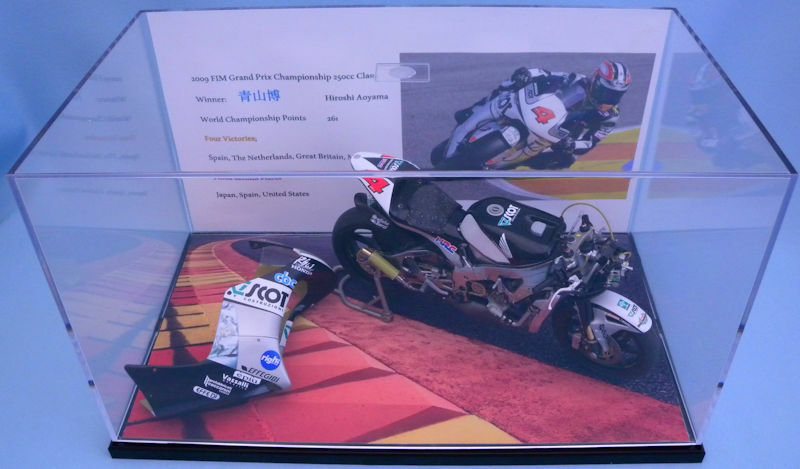 This model represents the last Japanese rider to be a Grand Prix champion. His name is Hiroshi Aoyama. 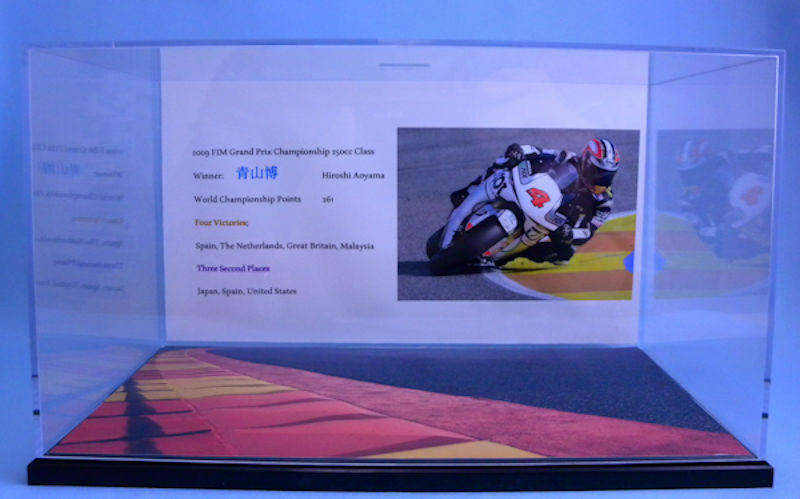 He did not secure the championship until the final round at Valencia, Spain. 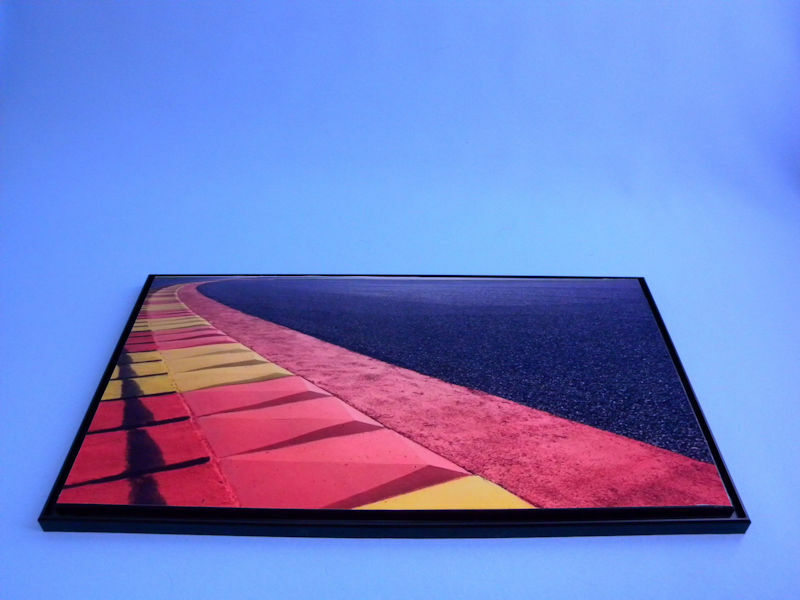 The diorama base is taken from a photo of the Ricardo Tormo Circuit at Valencia. 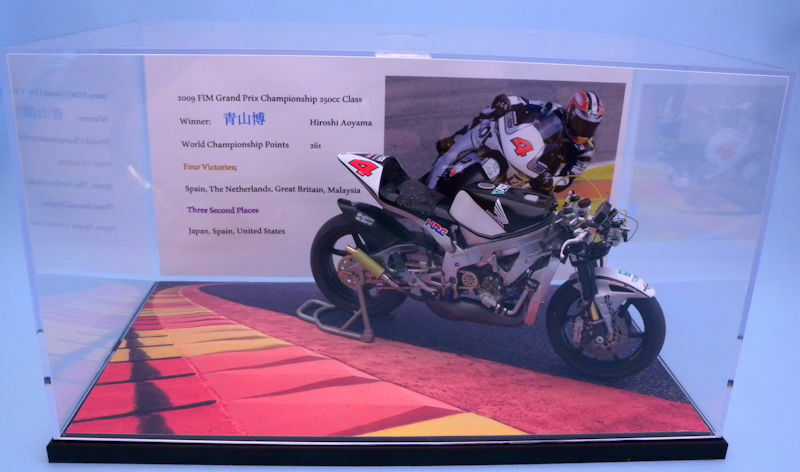 The background photo shows Aoyama in the season finale at the track. I am still deciding whether or not to include the fairing with the rest of the model.